I notice when I ride that one leg always slips back more than the other. And I also feel a lot weaker on that side. Do you have suggestions on exercises I can do when I workout to help strengthen my left side and maybe even out my hips, as I figure that’s why my legs are uneven? Every rider I know has one leg that seems to do just what they want it to and one leg that seems to have a mind of its own. Left-right strength imbalances are pretty typical in everyone, not just riders. LR imbalances also have widespread impact, affecting your core, which of course affects your legs and stability in the saddle. For problems like the one you’re describing, I like exercises that focus on improving the brain-body connection. I find that for my clients, “strength” balances out quite well once they have improved their ability to control each side of their body more equally. I’m a big believer in functional fitness; exercises and workouts that incorporate more than one part of the body. Functional fitness for riders (like a squat or a side lunge) train your muscles to work together and prepare them by simulating common movements of riding. Functional fitness exercises also emphasize core stability, which is crucial to stability in the saddle. Step-Up: Choose something stable to step up onto. The height can increase as you get better at the exercise. Hold the other leg up in a 90 degree position (knee up). Do sets of 10 on each leg, up/down, up/down. 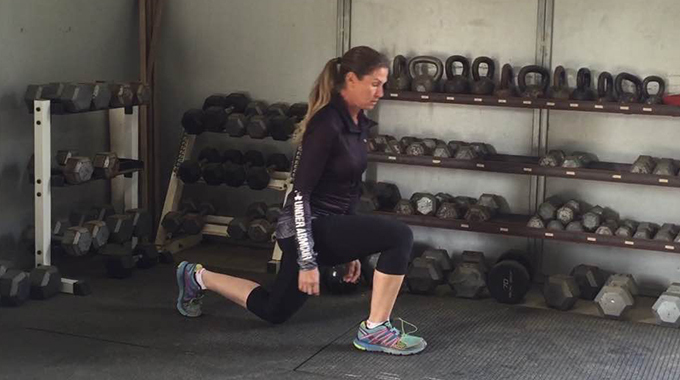 You’ll quickly find that one leg is much stronger and significantly more stable. 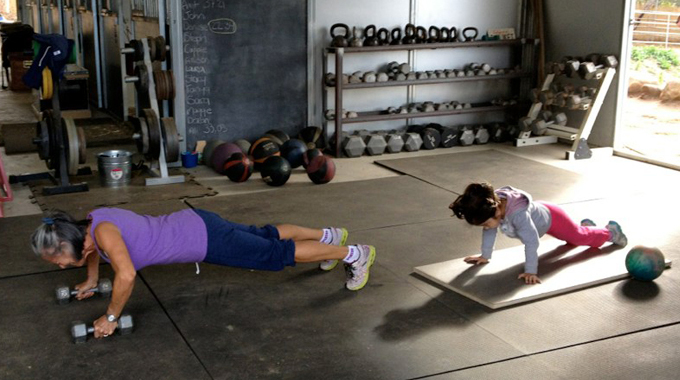 Once you get really proficient at it you can add weights to this exercise to increase the challenge. Keep in mind that you need to give your brain time to catch up to these new movements. 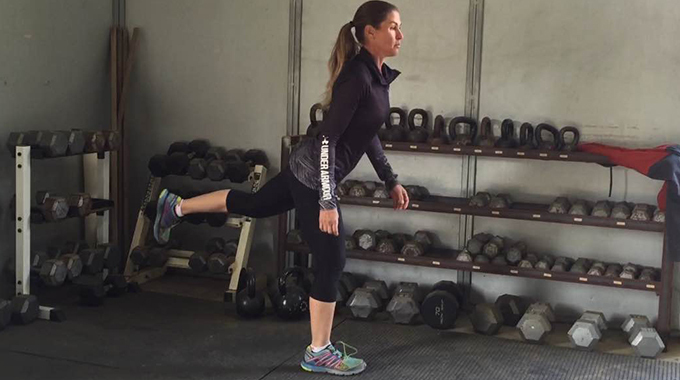 Practicing the desired movements help your body to function better by training not only your muscles, but your brain. With this repetition of exercises, your brain learns to inhibit or stop unwanted movements so that only the wanted movements happen. 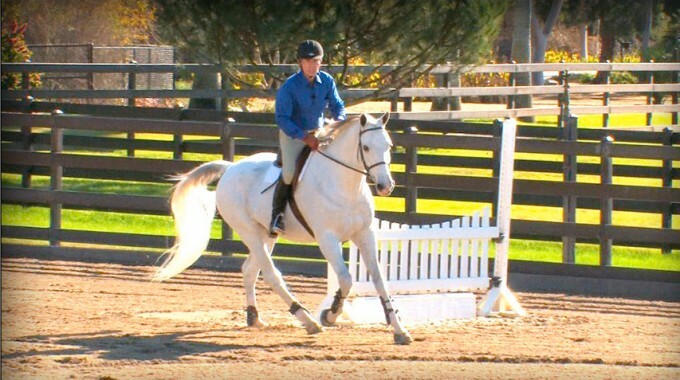 An example, a leg that swings when the rider tries to apply pressure to the horse’s side would no longer swing (that movement goes away) and what’s left is the correct movement, that of putting the leg on. Your non-dominant side can also benefit greatly from very simple exercises, like riding with one stirrup dropped when that leg is to the “inside”. Have someone help you on the ground. Ask them to watch you on a circle and tell you if you are sitting evenly in the saddle, turning your shoulders/hips too far one way or the other, etc. Then have them watch as you try to correct yourself. Go for short periods of time until you get stronger. These small changes will make a world of difference! To sum things up, try functional exercises that mimic the things you’ll need to be proficient at in the saddle and challenge yourself to ride every step as correctly as you can. Just like with our horses, nothing is a net-neutral, we’re always training something. We’re either reinforcing the good/correct or making the bad/incorrect that much harder to change in the future. If you’d like more personalized help, I offer virtual training to riders everywhere, so I’d love to hear from you!